This fragrance was released in 2009. A terrific fruity floral perfume for women. It starts by show..
Donna Karan once again presents her crafted, modern Big Apple aesthetic with her Be Tempted fragranc.. If you are looking for a perfume that is a bit muskier than most, then Cashmere Aura by Donna Karan .. This fragrance was released in 1994. A lovely powdery floral perfume with refreshing bergamot at th..
Like being wrapped in silky softness, Cashmere Veil by Donna Karan delights the senses and has an al.. Launched by the design house of Donna Karan in 2000, DKNY is classified as a refreshing, spicy, lave.. This is a Clean Crisp Scent of Citrus Notes orange and tomato leaf with yellow waterlillies and daff..
A masculine Aromatic scent for the urban warrior. With its bottle reminiscent of the Empire State Bu.. 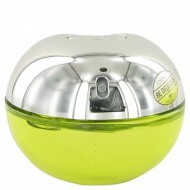 Wherever you may be, relish the epic scent of DKNY My NY. This sophisticated fragrance for women cap..
DKNY Nectar Love is a luminous floral oriental fragrance for women that beautifully fuses nectarous .. This fragrance was released as a special edition for the Donna Karan Summer collection in 2011. Ins.. Launched in 2006, it has top notes of casablanca lily, acacia and white clove; a heart of gold polle..
DKNY launched Golden Delicious in 2011. A beautifully composed perfume, both glamorous and strking, .. This fragrance was released in 2017. An aromatic airy floral woodsy perfume for women. Let this br.. This fragrance was released in 2015. A fruity floral banquet of delight with a hint of nuts. Very .. If you are looking for a fragrance that will surround you with luxurious sensuality, then Liquid Cas.. 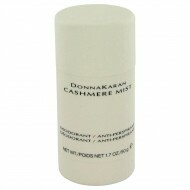 Liquid Cashmere White by Donna Karan New York is a light and luxurious breeze ideal for the modern, .. This is DKNY's first fragrance to address environmental and global issues. The floral fragrance for ..